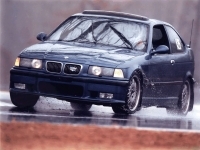 Hey i need new door panel for my 95 318ti its a grey interior. the kid that owned the car before me took the panel off to do something to the door speakers and bent something a peice of the window assymbaly and now not only is the door panel broken but the window shutters when it goes up. So as much as i appreciate the effort i wish he hadnt done anything. Does the window feel loose? There is a rubber guide that comes loose. You would find it at the bottom of the door. Of course you might have a a window regulator problem. NO the window isn't loose its the regulator and the bracket it sits on is bent so that makes it a lil worse. no thanks i needed the drivers side and my cars totaled now. so does me no good thanks.